Posh Pet Cottage of Hammond offers a range of pet care services to keep your dog or cat looking and feeling their best. Our grooming and boarding options are second to none! 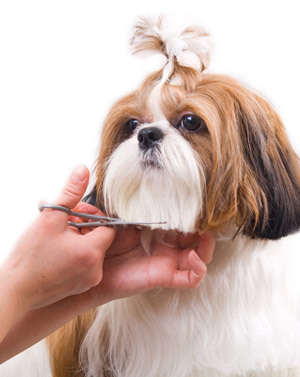 We have a variety of services to choose from including bathing, kennels, trims, haircuts, pet taxis, pedicures, and luxury living when your pets stay in boarding! We offer monthly specials and a loyalty program for our regular customers. Your pet will be treated like royalty at Posh Pet Cottage. In addition to our pampering services, we offer seasonal attire and snacks for each visit. If you would like to schedule an appointment, give us a call! Check out our boutique in Hammond and discover all of the ways your pet is taken care of by the professionals at Posh Pet Cottage.